Validation therapy is a way to approach older adults with empathy and understanding. It is often used to comfort and reassure people who are living with Alzheimer's disease or another kind of dementia. The basic idea behind validation therapy is that people who are in the late stages of life may have unresolved issues that drive their behaviors and emotions. The way caregivers or family members respond to these behaviors and emotions can either make them worse or help resolve them. Validation therapy is more than simply validating a person's feelings, although that is one component of it. Validation therapy focuses on helping the person work through the emotions behind challenging behaviors. These behaviors are viewed essentially as a way to communicate those emotions, especially in people with memory loss, confusion, disorientation, and other symptoms of dementia. Validation therapy was developed over time, between 1963 and 1980, by Naomi Feil. Her first book on validation was published in 1982. Feil is a social worker who grew up immersed in the care of older adults: her mother was a social worker, and her father was the administrator of a nursing home. Take a deep breath and slow down. Your initial reaction may be to try to use logic when your own mother, who is 92 years old, starts calling out loudly for her mother. But before you react, think — and breathe. Ask your mother what her mom was like, and what she misses about her. Share a memory about your grandmother with your mother, and allow her to express her loneliness. Ask her if she always misses her mother, or what she misses most about her mother. This can allow her to process those feelings of grief related to losing her mother. Join with your mother in her feelings. Acknowledge the sadness of losing her mother and the special relationship they had with each other. Rephrasing her feelings back to her can provide reassurance that you understand and feel her loss. Saying "You must really miss your mother" can decrease her ​anxiety, because she hears you expressing what she is feeling. Ask questions about her mother. For example, ask about her favorite food that her mother cooked and how it smelled, or how pretty her mother looked all dressed up for church on Sunday mornings. How Effective Is Validation Therapy? Research is mixed when it comes to conclusions about the effectiveness of validation therapy. Different studies conducted on validation therapy have different conclusions, with some stating that it's effective, and others determining that it's no more helpful than a placebo. A couple of Cochrane Database Systemic Reviews conclude there's insufficient evidence to conclude that it's effective—not meaning that it's ineffective, but that there wasn't strong enough data to show that it is clearly helpful. One study conducted in a long term care facility in Germany used a variation of validation therapy called integrated validation therapy developed by Nicole Richard. Integrated validation therapy prescribes certain attitudes and actions in response to the person's feelings and behaviors. 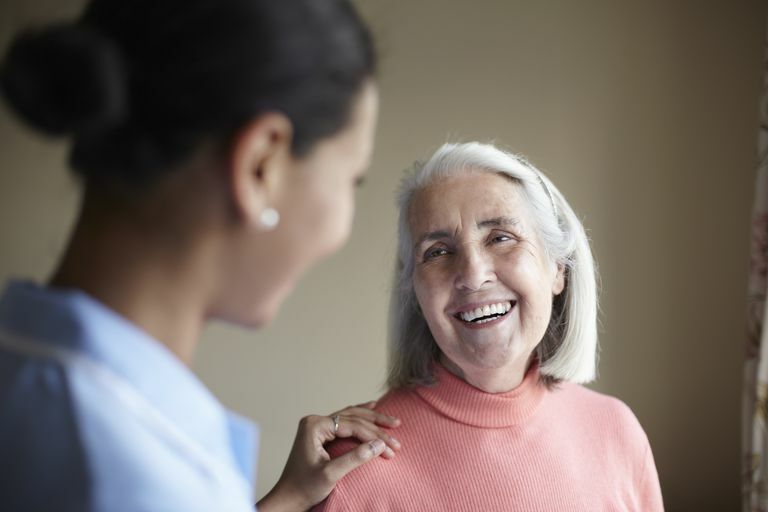 Research found that agitation levels of residents were decreased with integrated validation therapy and that caregivers felt positive about its use with the residents. In my clinical experience, there are many instances in which validation therapy has worked very well, and others where it did not, and only succeeded in irritating the person. Other clinicians tell of anecdotal evidence of the effectiveness of validation therapy in decreasing challenging behaviors and emotional distress. While there's not a definite conclusion on how effective validation therapy is in treating dementia, it does appear that it may be a tool that's worth understanding and using in some circumstances, for some people. At a minimum, it can help caregivers remember to place themselves in the other person's situation, consider what it is that they're feeling or experiencing, and then respond with compassion. The Validation Training Institute, Inc. Benefits of Validation. What Are the Benefits of Doll Therapy in Dementia? What Are Some Creative and Meaningful Activities for Dementia?